After ending their relationship, two former lovers struggle to live in the same house. After Love never manipulates us into rooting for its couple to get back together. Quite the opposite in fact; the more time we spend in the company of this mutually miserable pair the more we long for them to get as far away from each other as possible. We've seen so many dramas exploring failed relationships recently that it can seem like a crowded market; what more can be said on the subject? 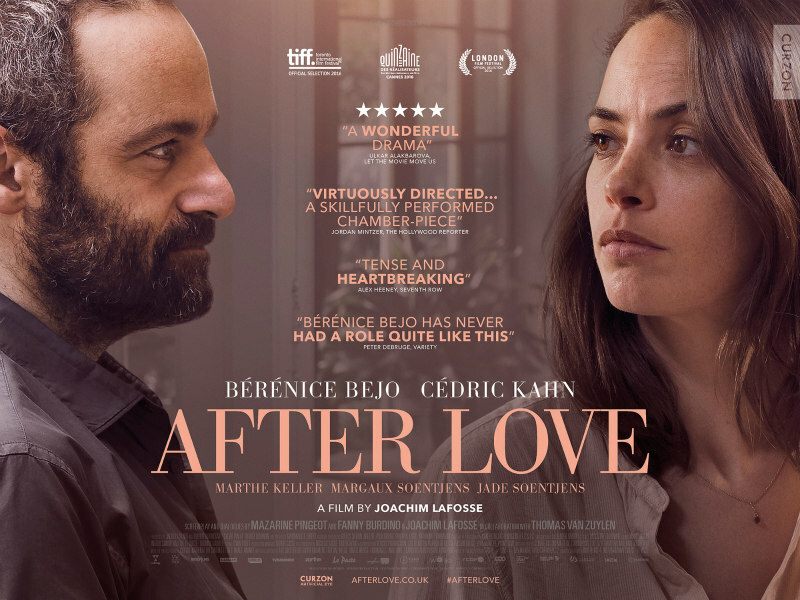 With After Love, Belgium's Joachim LaFosse takes a unique approach in two distinct ways. 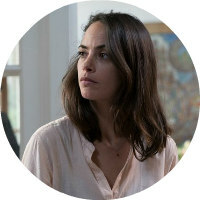 While recent movies on this topic (Blue Valentine, The Broken Circle Breakdown) have contrasted the end of relationships with their beginnings, LaFosse's movie begins long after things have broken down between his protagonists, pragmatic Marie (Berenice Bejo) and wastrel Boris (Cedric Kahn), and he steadfastly refuses to contextualise the end of their 15 year long partnership. There are no flashbacks. No references to prior indiscretions. No clues. After Love also stands out by never manipulating us into rooting for this couple to get back together. Quite the opposite in fact; the more time we spend in the company of this mutually miserable pair the more we long for them to get as far away from each other as possible. Marie and Boris remain stuck together chiefly because the latter stubbornly refuses to leave their home until Marie agrees to give him half of whatever she receives upon its sale. Through their many arguments over financial minutiae the situation becomes increasingly cloudy, but the general gist is that the house was left to Marie by her parents and so is technically hers, yet Boris feels he is owed half of its value due to the renovations he performed (he obnoxiously dismisses the fact that Marie has supported him financially through much of their relationship). LaFosse keeps most of the action confined to the troubled home, which Marie and Boris share with their young twin daughters (acting twins Jade and Margaux Soentjens). This creates a stifling, suffocating atmosphere, and a sense that there's no escape for Marie from the boorish, bearded ape that slouches around her home, swilling beer, eating her kids' school lunches and, in a particularly uncomfortable scene, insulting her dinner guests. In a similar manner to how David MacKenzie filmed the setting of his prison drama Starred Up, LaFosse guides us through the site of his domestic conflict with unbroken tracking shots. Moving the camera in and out of the same handful of rooms really hammers home how claustrophobic the space shared by the film's protagonists really is; Marie and Boris can't walk from bedroom to bathroom without bumping into their respective antagonists. While LaFosse never explicitly takes sides, only the most stubborn Men's Rights Activist could fail to sympathise with Marie. Though he never raises a hand, make no bones about it, Boris's treatment of Marie is a form of abuse, whether intentional on his part or not (he comes across as largely oblivious to the damaging effect his presence is having on the woman he once loved). We almost wish he would strike her in anger, as then she might be finally rid of him rather than having to endure such prolonged psychological torture. What's saddest of all about Boris and Marie is that we get the sense that they still love each other; they just don't like each other anymore. At one point they even give in to their physical attraction, tearing their clothes off after a dance session shared with their kids momentarily reminds them of the happy unit they once were. This dance scene is one of the cinematic highlights of 2016, telling us so much more about the dynamic between Marie and Boris than any of the film's many verbal arguments can. 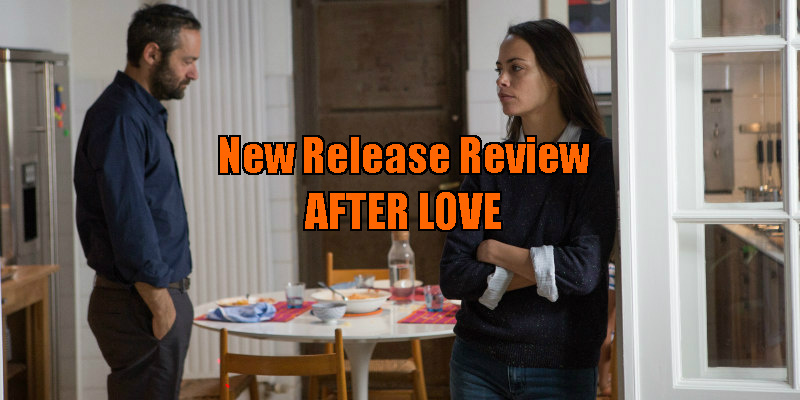 I certainly wouldn't recommend After Love as a first date movie, and unless you have complete confidence in the stability of your current relationship, I would be hesitant to advise seeing it with your other half. But if you've come out the other side of a partnership and are on friendly terms with the other victim of your shared circumstance, you might persuade them to be a good sport and accompany you. LaFosse's movie is best viewed before or after love, not during. After Love is in cinemas October 28th.